Japan Technology's first yo-yo, the Kamui, quickly became a favorite of offstring players with its smooth, fast play. Now, that same great play is available at a new, lower price with the Ashiru Kamui! Right out of the box, this is one of the finest offstring yoyos available. Japan Technology has switched the Ashiru Kamui from machined to molded, giving offstring players the same quality at a much lower price. Perfect for offstring play from beginner tricks to world-level competition, the Ashiru Kamui is another stunning piece of Japanese engineering. 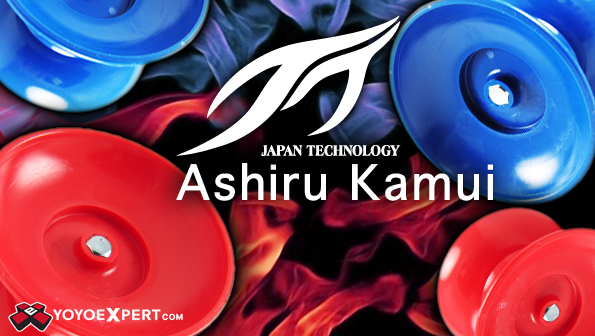 The Ashiru Kamui is molded delrin, giving it the same feel as machined delrin yoyos but at a fraction of the price.